Only three countries in the world do not use the metric system...Liberia, Myanmar and the United States. For America to maintain it�s role in the world, it may be a good idea to think about joining it. National Federation Of Independent Business (NFIB) Reveals. . .
�Recession fears are spreading and the economy is showing definite signs of slowing, even on Main Street,� confirms NFIB chief economist William Dunkelberg. The NFIB Index of Small Business Optimism rose 1.9 points in April to 91.5 (1986=100). Half of the gain was due to an improved outlook for business conditions 6 months out, and a quarter was from improved earnings trends. At the same time, rising prices are becoming a matter of serious concern. The National Federation of Independent Business (NFIB) is the nation�s largest small-business advocacy group, established in 1943. Former World Bank president James Wolfensohn, now an advisor to Citigroup, is pessimistic on the outlook for financial markets. He believes that global bank losses from the credit market crisis could reach $1 trillion. So far, financial institutions have reported $310 billion in losses resulting from the credit market crisis that began with subprime mortgages in the U.S. According to Wolfensohn there may be $1 trillion worth of losses. His loss estimate is close to the International Monetary Fund forecast of $945 billion, and he notes that $1 trillion now represents a �consensus estimate� for the losses. The IMF predicts global growth will reach 3.7% this year, the slowest rate since 2003 and down from 4.95% last year. The European Commission estimates that Europe�s economic growth will slow to 1.5% next year, thanks to the continuation of the credit crisis. That forecast constitutes a 29% decrease from the commission�s previous prediction of 2.1% growth. Torrid growth in emerging markets such as China and India will cushion the damage for the world economy. The IMF forecasts growth of 9.3% in China this year and 7.9% in India. Emerging markets have enormous internal growth and are expanding in other markets, such as Africa. Since its operations began in 2001, T�rk Barter is well known within the barter industry circles, as they have been a major sponsor of the International Reciprocal Trade Association. As the first trade exchange in Turkey, they have always operated on a high business level. The company is now ratcheting their ambitions up a notch by announcing plans to buy more than 2,500 houses, 4,000 second-hand vehicles, and 30,000 mobile phones to remarket this year. T�rk Barter, which operates in the fields of credit, factoring and leasing, will also offer the opportunity of zero-interest loans for five years to those who intend to buy houses. According to Sirri Simsek, the chairman of T�rk Barter, all companies with abundant stocks as well as those firms that still keep their goods and houses in their hands in order to make a profit, are invited to work with the company. International Monetary Systems (OTCBB:INLM), a worldwide leader in business-to-business barter services, today announced that it has acquired the assets and client base of Business Network, Inc. (BNI), located in Hauppauge (NY) on Long Island. Don Mardak, CEO of IMS, commented, �We are pleased to announce this latest acquisition of a very fine trade exchange in a strategic location. Since we already have a solid network in place in Uptown Manhattan, Long Island clients will now have many more barter options which means an increase in trading opportunities. The transaction was partially financed by $200,000 received from a private investor in exchange for a convertible note. For more info on IMS see www.imsbarter.com. BBX Holdings Limited announced its franchise in China has commenced trading, which is expected to create a significant volume of cross-country barter trade. A cashless trade exchange, BBX has offices and franchises throughout Australia and New Zealand, with 6,000 member businesses and over 8,000 individual card holders. Member businesses in these two countries traded in excess of $188 million in the financial year ending June 2007, averaging over $33,000 per active member business. The China franchise will bring the number of BBX members globally to 300,000. It consists of 18 regional offices with its main office in Beijing, and when fully established will employ over 1500 staff. Franchises have also been established in India and Costa Rica, with other international franchises currently under negotiation. BBX China was formed in 2006 when the China Federation of Logistics and Purchasing Barter Trade Committee entered into a master franchise agreement with BBX International, a wholly owned subsidiary of BBX Holdings which will have 20% equity in BBX China. CEO of BBX China, Mr. Wang Lei, says they are proud to open its doors to international trade through the network. Members of BBX China cover a number of industries including production, real estate, tourism, entertainment, hospitality, services and retail. �BBX China is a critical step in establishing a global trading platform and will revolutionise the way business is conducted by our members. The expanding international network is a benefit to members everywhere, because it means they have increased buying and selling opportunities as members of a global trading alliance,� asserted BBX managing director Michael Touma. International trading is made possible by the BBX self developed cashless settlement platform, WEBiPOS. This sophisticated software provides instant processing of transactions online and is available to its members worldwide in English, Spanish, and Chinese. Successfully listed on the ASX in August 2005, BBX becomes the only publicly listed barter exchange managers in the world to be listed on a main board. It is a membership-based trading program whose primary role is to generate new business for all types of businesses and to show business owners how to offset many current cash expenses by utilising the down time or idle inventory in their business. The trade exchange uses trade dollars, which have par value with the local currency, to assign value to the transactions that take place between member businesses. The exchange acts as the third party record keeper, similar to a bank, and provides a sophisticated bartering market where thousands of transactions take place. The company also offers a broader range of financial services in areas such as mortgage brokering via BBX Money (including leasing, business finance and general loans in both cash and trade dollars), financial planning through BBX Financial Advisers, insurance services through BBX Insurance, property services through BBX Real Estate, and its NSX-listed BBX Property Investment Fund. For more information on BBX go to www.ebbx.com. Tradia is a corporate sponsor of this year�s Global Green Alliance Green Earth Expo, being held in Orlando (FL) from May 15-17. With over 50,000 expected attendees from around the world, Humphreys will be speaking twice during the gathering. The change to green at Tradia began four years ago when brokers across the nation started sending weekly �trade flashes� advertising products and services on barter to their members via e-mail. A year later the decision was made to provide brokers, local trade directors, and corporate members monthly statements via the Tradia web site. Tradia has provided online statements for years to approximately half its members, but until now has mailed out monthly statements to the other half. The firm mails out an average of 2000 account statements each month. While it might seem like a financially motivated decision, the change to online statements benefits the Tradia members as well. They will have less paper waste to recycle and will more actively use the Tradia web site, not only to see their monthly statements, but to monitor their entire barter account online. When their monthly statements are ready, Tradia members will now receive e-mails with a web site link; they can then review the statement and decide whether or not to print it out. Members without an e-mail address (less than 10%) will still be mailed their monthly statements. Tradia Commerce Network was founded in 1995, and was originally called Compass Card until its corporate name change in 2004. 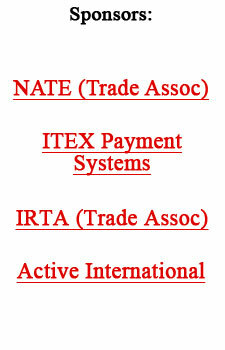 It is the largest privately held barter exchange in the United States, serving over 5000 cardholders nationwide. For more information see www.tradia.net.